HAHA! I updated in the afternoon instead of just before midnight this time! 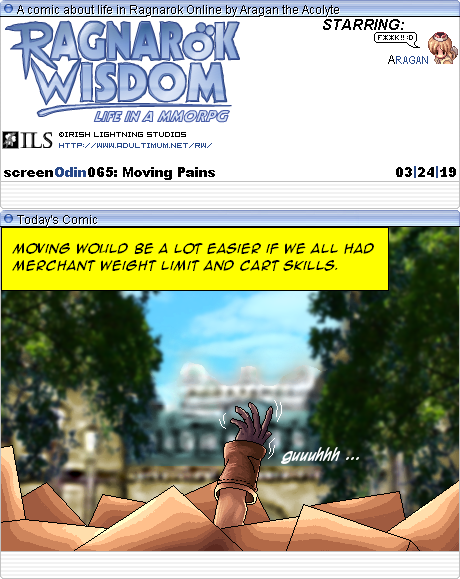 It was a rather funny coincidence that the last comic got updated the same day the rollback happened. 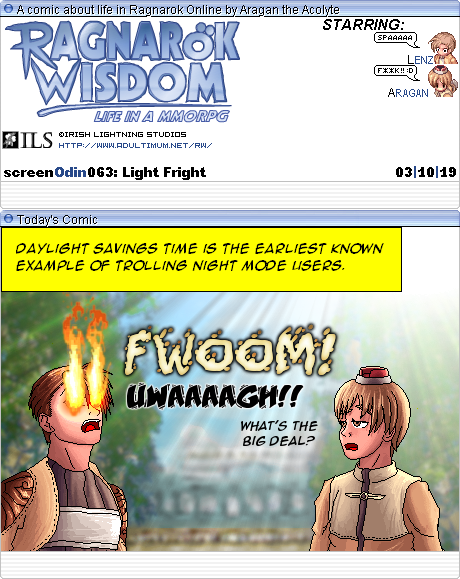 With how people react to Light Mode these days, one wonders how we ever survived Daylight Savings Time. A comic for St. Patty's Day! 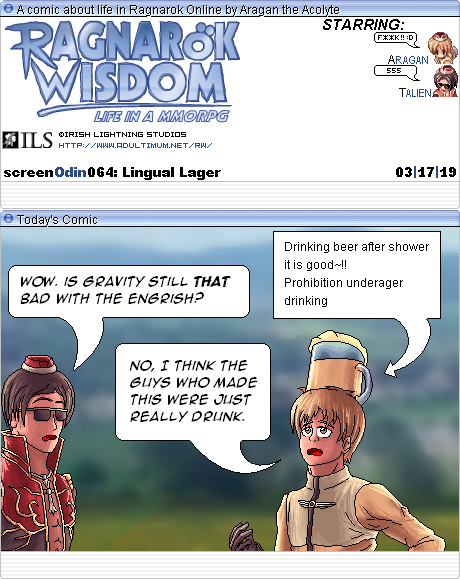 I wanted to comment on this last year when I saw the item description for the beer hat costume, but Nth Power's Azoth antics took precedence. I'm in the process of moving from one rental to another, and I have to finish by the end of the month. The weather hasn't been too cooperative, and I'm running out of time. Hopefully I'll get it done. Hope everyone had a happy Easter anyway!